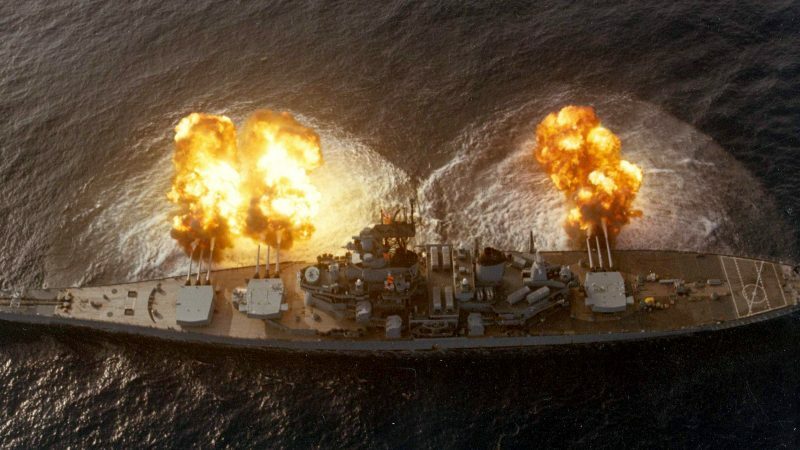 BB-63, the USS Missouri “Mighty Mo” is an Iowa-class United States Navy Battleship, the third that was named in honor of the US state of Missouri. She was also the last battleship ever to be commissioned by the United States. Most notable in her history, on the Missouri the Japanese Empire formally surrendered ending World War II. The Missouri was ordered in 1940 and commissioned in June 1944. She fought in the battles of Iwo Jima and Okinawa and even shelled the Japanese home islands. She also saw combat after the second world war when she was called upon to fight in the Korean War. In 1955 she was decommissioned and “Mothballed” into the United States Navy reserve fleet for almost 30 years. In 1984 she was reactivated and modernized as part of the 600-ship Navy plan after which she saw combat again during Operation Desert Storm in January/February 1991. 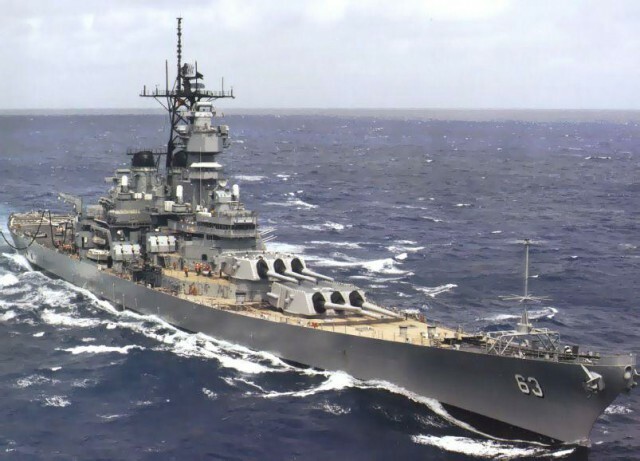 She was awarded a total of 11 battle stars for service in World War II, Korea, and the Persian Gulf and on 31 March 1992, she was again decommissioned, this time for good. She was donated to the USS Missouri Memorial Association in 1998 and became a museum ship at Pearl Harbor, Hawaii, where she looks over her sister ship, USS Arizona. The USS Wisconsin (BB-64) has a higher number, but she was completed before Missouri. The music video for Cher’s “If I Could Turn Back Time” was filmed aboard the USS Missouri and it features the ship’s crew.